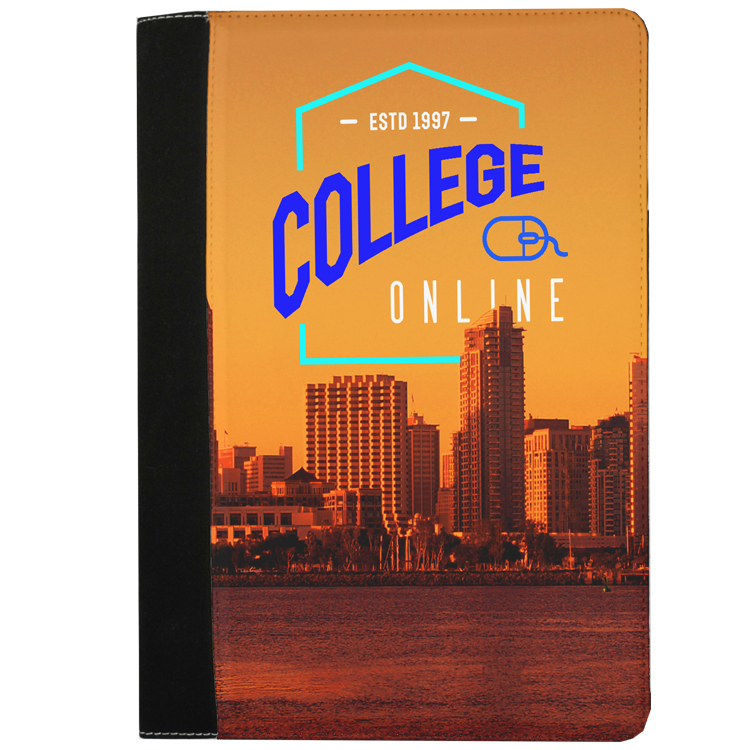 Perfect for back-to-school campaigns and corporate giveaways, this all-purpose notebook features full color sublimation printing on the entire front cover. A paper pad is included as well. This stylish notebook is made of faux suede-polyester material. A great promotional handout for trade shows academic promotions and more.